Mandala of Spirituality Ring hand made by Rose Carvalho in 18ct white gold and palladium featuring amethyst quartz and diamonds. Part of the LENSES collection, this unique ring is inspired by church domes and mandala shaped temples. Rose designs and cuts the stone like a lens to create distorions and beauty, guiding one’s eyes to a state of contemplation. 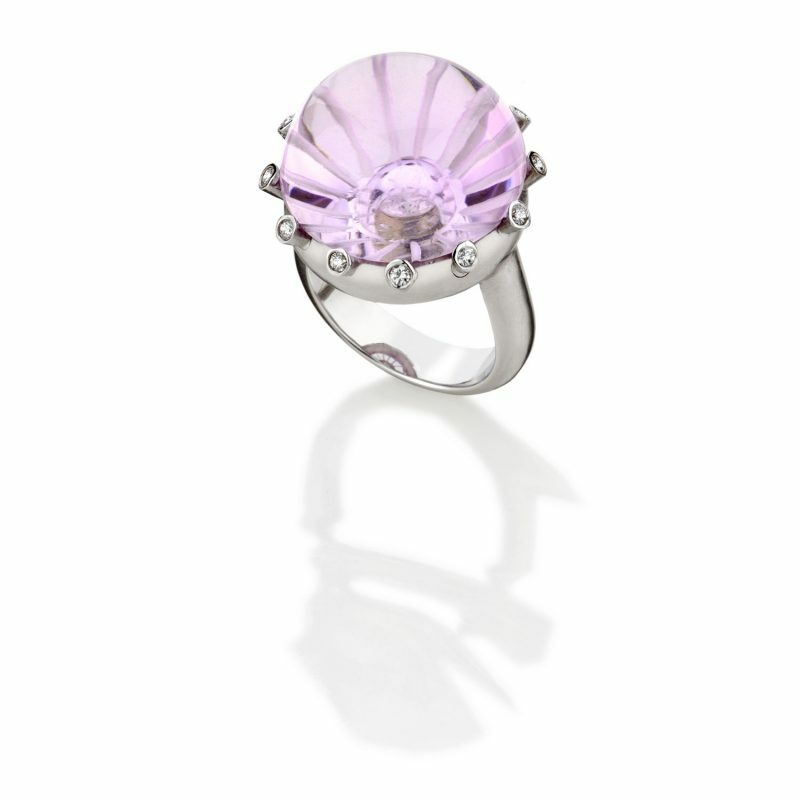 The diamond placed in the center of the amethyst represents the light emanating from the universe.